At IDS we take our relationships with our partners and accreditations very seriously. We strive to be compliant with ISO, all our engineers are NICEIC competent and we are also an ABB AVP (Authorised Value Provider). IDS are annually audited to maintain our NICEIC compliance. NICEIC has been assessing the technical competence of companies for over 50 years. Allowing our customers peace of mind knowing the service is provided by competent engineers who are capable of meeting the relevant technical and safety standards. IDS has a long history of delivering a first class service through our fully qualified engineers and efficient business team. We are pleased to announce that IDS has been successfully externally accredited by UKAS registered IMS International LLP to the Quality Management Standard, BS EN ISO 9001. This has been a team effort, led by IDS Health and Safety and Quality Manager, Wayne Draper. Ensuring we are mindful and monitoring our environmental footprint. Complimenting the work we do on energy saving for our clients, it made sense for us to ensure our company has the right environmental processes in place. Because of the serious nature of our work and the sites we visit we have invested in the OHSAS 18001 accreditation which puts in place demonstrably sound occupational health and safety performance systems. This accreditation demonstrates to each of our clients how seriously we take health and safety. Safe Contractor is a scheme run by the Government.The scheme provides information and assurances about the health and safety systems and competence of the organisations who have been Safe Contractor accredited or assessed. IDS are proud to be Safe Contractor Approved. 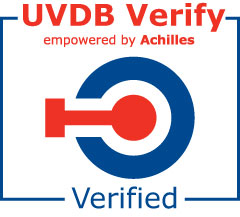 Achilles UVDB Verify is an independent audit of an organisation’s Safety, Health, Environment,Quality (SHEQ) management systems and Corporate Social Responsibility (CSR). High risk profile suppliers or contractors providing works or services into the utilities sector are required to complete an Achilles UVDB Verify Audit. 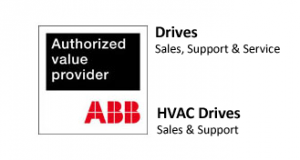 ABB AVP’s are a nationwide network of specialist providers located across the UK. We are independent engineering companies, fully trained and authorised by ABB to offer technical advice on all issues relating to the selection, commissioning, start-up and operation of inverters. It extends across the entire life cycle of products by providing services such as energy & productivity appraisals, installation, start-up and preventive maintenance. In 2013 IDS were recognised by the Water Industry Achievement Awards. Winning the award for the Most Innovative Use of Existing Technology and also the award for Outstanding Innovation.